Passions come to a boil and it’s all you can do to keep a lid on them. This is good for some things; not so good for others. Only you can be the judge of that. The more you withdraw, the more demanding a loved one becomes. Why perpetuate a vicious cycle? Throw him a bone and pacify the beast. 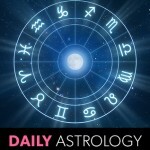 The Sun squares Pluto in your house of hidden agendas. Beware manipulative supervisors, smarmy lenders, and people who say they’re single (but aren’t). It isn’t easy saying good-bye to something that made you feel safe, but it was a false security. You’re ready for the real thing. There’s a turf war brewing at work and you don’t want to be caught in the middle. Declare yourself neutral territory while you can. Is it too late to go back the way you came? It’s not a bad idea considering how dubious things look. Just be discreet when you beat a retreat. You hate to choose between two equally compelling prospects. Remember that they’re both good so you can’t lose. Are you refusing to budge because it’s right or are you just being stubborn? Motives need to be pure when Pluto’s powerful or there will be hell to pay. A negotiation keeps hitting one snag after another, but don’t give up. You only get one chance to get terms right and this is it. The tables turn on a bully and now you have the upper hand. Be fair where this person was punitive. You don’t want to wind up in the same position one day. Doing the right thing isn’t always a crowd pleaser which means you’ll be persona non grata for a while. Your actions will be appreciated in time. Going out of your way to spite someone only hurts you in the end. Drop the grudge; the karma you save may be your own.